If you are not utilizing team cleaning, your facility may find it beneficial to consider the pros and cons of this approach. 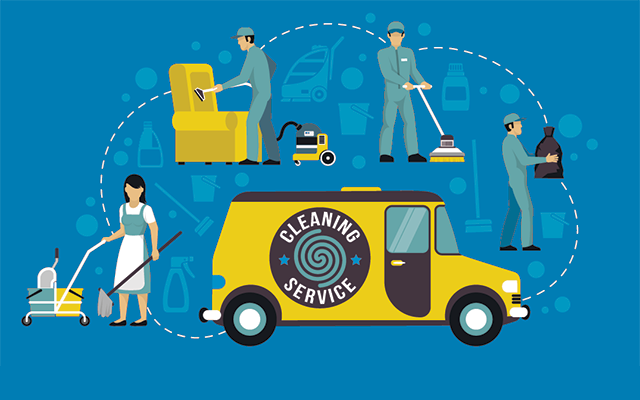 Traditionally, zone cleaning has been the norm for cleaning professionals, but team cleaning offers advantages that are hard to ignore. Zone cleaning means one employee cleans a specific, assigned area. It could be an entire floor, or a section of a building. The individual is responsible for performing all cleaning tasks, from collecting trash, to mopping and sweeping, to vacuuming and restroom cleaning. With zone cleaning, the employee must be well trained in all functions, and able to work with limited supervision. Team cleaning, on the other hand, consists of four functions performed systematically by a team. The four functions include Trash Collector, Vacuum and Floor Cleaner, Restroom Cleaner, and Utility or Lead person. The team approach allows each individual to perform a specific task, rather than cleaning an entire area. The team works together to clean the space, with everyone finishing at the same time. There are pros and cons of team cleaning. 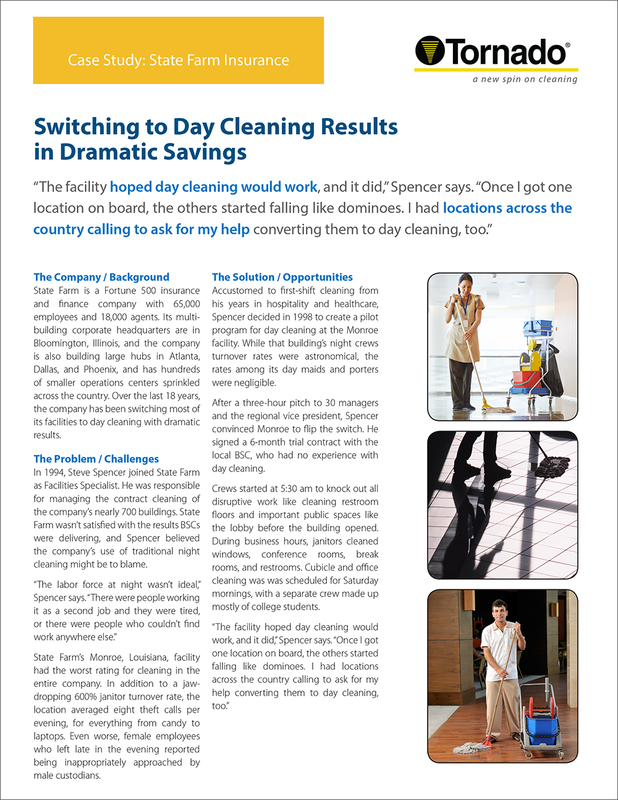 To decide whether team cleaning is best for your facility, there are a few important things to consider. In today’s economic climate, cost efficiency is more important than ever. 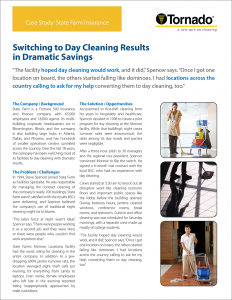 Team cleaning allows for increased productivity at a lower cost. Less equipment is required, as only one vacuum needs to be bought for the team, rather than eight vacuums bought for eight floors in a zone cleaning situation, for example. With zone cleaning, each janitor needs to have their own cleaning tools and products, which can quickly add up. Productivity is higher because each of the cleaning professionals specialises in one function. They are trained to work through the facility in the area they have mastered, whether it is vacuuming or trash collecting. Often with the zone cleaning approach, some tasks are done better than others, so there are highs and lows in quality throughout the building. Team cleaning allows for the team to self-monitor each other and the cleaning process. After each individual is done with their task, the other members on the team will look over the area to ensure it is properly cleaned. This occurs with each area to help ensure nothing has been missed, and the highest quality service is provided each time. Competition among employees can lead to a toxic workplace environment, where one cleaning professional feels lesser than another. With zone cleaning, if one employee is finished cleaning their section faster than others, they are sent to help another employee with their area. This may result in the slower custodian feeling less adequate, and can create conflict between employees. On top of that, since each custodian is cleaning to individual standards, it is more difficult to achieve the same level of cleanliness in all areas. With team cleaning, the emphasis is on the team rather than the individual. The team is responsible for holding their own standards, which will be applied equally across the facility. Absenteeism is prevalent among cleaning professionals. In a team cleaning situation, it is easier to find someone to fill in. Since each custodian specialises in a specific task, when a substitute is needed, they are easily replaced. You do not have to question whether the replacement custodian will be able to perform all the cleaning functions. On top of this, those who work in zone cleaning often become attached to their assigned areas, giving them a sense of ownership. This may mean that they will be less willing to fill in for an absent janitor in another area. It is easier to oversee team cleaning operations than it is zone cleaning. With team cleaning, supervisors are aware of where each worker should be at any given time of the shift. Zone cleaning is more isolated, so it is harder to know where they are supposed to be at what time. Since each cleaning professional has their own standards of cleaning, it can cause discretions in the quality of cleanliness, which can go unnoticed if it they are not supervised. With team cleaning, it is likely that supervisors make rounds with their team. They can see who is most productive and who needs more training. This leads to higher efficiency and productivity among the team. If something goes wrong, or a customer is not happy with the service, the team can work together to make beneficial decisions. With zone cleaning, the individual is responsible for making many decisions on a day to day basis as to what is the right and wrong thing to do. They have no second opinion and must be quick on their feet, as new obstacles are thrown at them every day. While team cleaning is more efficient, it can also lead to boredom among custodians. Doing one task all day, every day can become mundane. They excel at one function, but may feel they are not being used to their full potential. Zone cleaning allows cleaning professionals to move among tasks, changing things up and dominating in a specific area of the facility. With zone cleaning being the traditional method, not all cleaning professionals are open to switching to team cleaning. They prefer to keep their ownership over a specified area rather than become specialized in one task only. The changes may be resisted by staff, which calls for efficient planning and preparation before implementing change. Although there are many perks of the team cleaning system, it does not make sense for every facility. Hotels, hospitals, and other buildings that have many separate rooms will likely see more success with zone cleaning. These facilities hold patients and customers who are used to having a maid or custodian, and they want their space fully cleaned. It is harder to ensure a 100% clean space for their entire stay with team cleaning. Team cleaning works best in facilities such as office areas, support areas, single tenant units, and schools. Have you been thinking of switching to a team cleaning approach? What is the biggest thing holding you back?